The earliest ships seen in Australia were masted sailing vessels, such as that illustrated below. 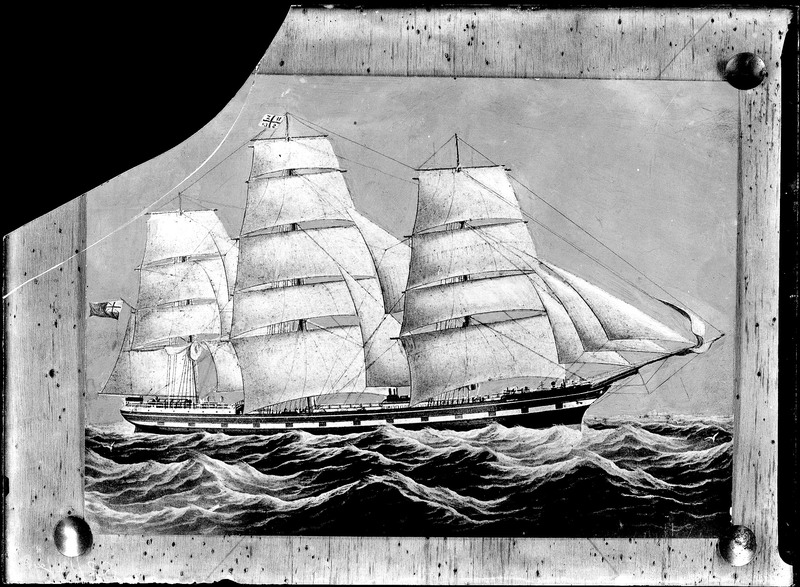 Painting of unidentified ship. From the Ralph Snowball/Norm Barney Collection, University of Newcastle, Cultural Collections.